Local Realtor Andre Quain has committed to donating half of his commission on an Passyunk Square property listed for $292,000 to a local charity. 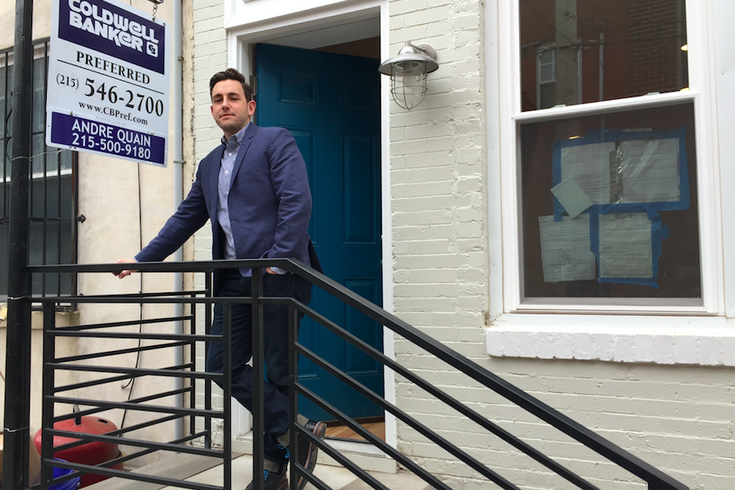 Andre Quain’s only been at the real estate game for a few months now, but he’s already made a mark with his unconventional approach to a property up for sale in the city’s Passyunk Square neighborhood. There are five properties up for sale – and two for rent – on the 1200 block of Peters Street, a dead-end block near Washington Avenue. The one that features his name as the listing agent on the Coldwell Banker Preferred sign outside – 1234 Peters St. – has been on the market for about two months now. The asking price for the cozy 720-square-foot rehab with two bedrooms, one bathroom, finished-wood floors and stainless steel appliances is $292,000. As is the case with any such sale, the Realtor stands to make money off her or his commission from the transaction. But with this property, Quain stands to make substantially less than normal. That’s because he's decided to donate half of his commission – which, depending on the selling price and other transactional nuances, could be anywhere from $2,500 to $5,000 – to South Philadelphia’s Caring People Alliance. In other words, several thousand dollars that the nascent Realtor could have pocketed will instead benefit the Boys and Girls Club of South Philadelphia and the Marconi Older Adults Program. Going local was by design since several thousand dollars can go a longer way with such an organization as opposed to a larger one with a national, or international, footprint. The property itself sits amid a block with some new construction. Those listed across the street – with three bedrooms and two bathrooms – are listed in the half-million-dollar range. To hear Quain and his girlfriend Jane Winters tell it – the idea arose during conversation in a “charity-minded” household – it’s an up-and-coming neighborhood within walking distance of Center City and not too far from the Italian Market. He plans to host an open house on December 23 at the property that’s drawn attention on real-estate websites and from potential buyers. 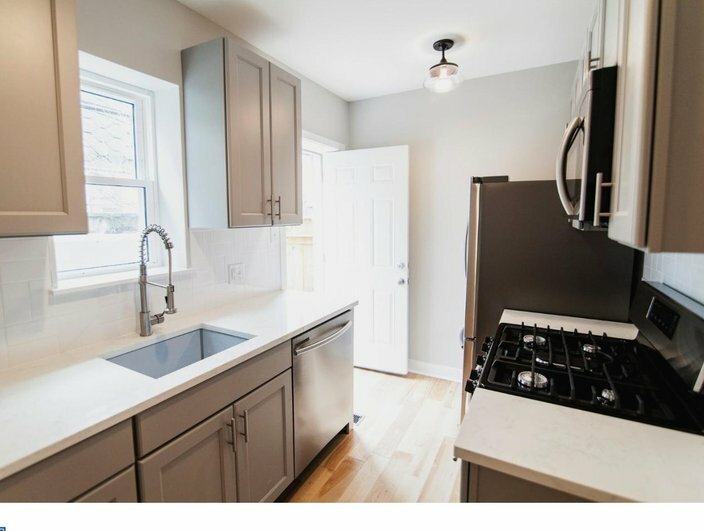 The rehabbed property located at 1234 Peters Street in East Passyunk is listed at $292,000. The realtor plans to donation half of his commission to a local charity. While Quain will get a commission check at closing, he’ll write a personal one to the Caring People Alliance. Luke McKetta, director of the Alliance’s senior program, said the in-kind donation will go a long way within the organization. Want to help make this donation a reality? Well, if you're looking for a new home, check out the listing via this link.